He flies through the air with the greatest of ease. Seth Enslow isn’t a man on a flying trapeze, however; he’s more like a tattooed madman on the back of a specialized Harley Davidson. 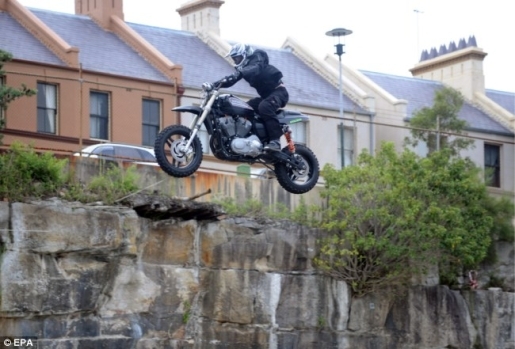 Enslow took a Harley-Davidson XR1200, put a dirt bike suspension and handlebars on it, and then used that bike to break the world record for a Harley jump not once, but twice. His first leap was 175 feet, and his second was a staggering 183.7 feet in length. The Telegraph has the amazing video.